Solo Amazon CDL-A Truck Driver – Full Benefits & Great Home Time! Hiring OTR Truck Drivers for Amazon Routes! 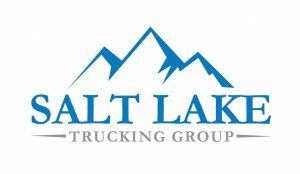 We are seeking solo drivers with a Class-A CDL license to join our team at Salt Lake Trucking Group. You will be responsible for safely operating a company owned truck. Dry van only, no touch freight! Our drivers find top pay, top miles, and excellent home time! Salt Lake Trucking Group is looking for motivated CDL drivers to drive our OTR routes. Drive OTR routes for Amazon and expect consistent home time. At Salt Lake Trucking Group, we value family above all else. We work hard to help drivers have a schedule that best meets their family’s schedule. Apply for Solo Amazon CDL-A Truck Driver – Full Benefits & Great Home Time!